Eurodollar has expanded its consolidation channel upwards and finished an ascending structure. We think, today the price may form a descending structure towards the channel’s lower border at level of 1.2431, thus forming pennant pattern. 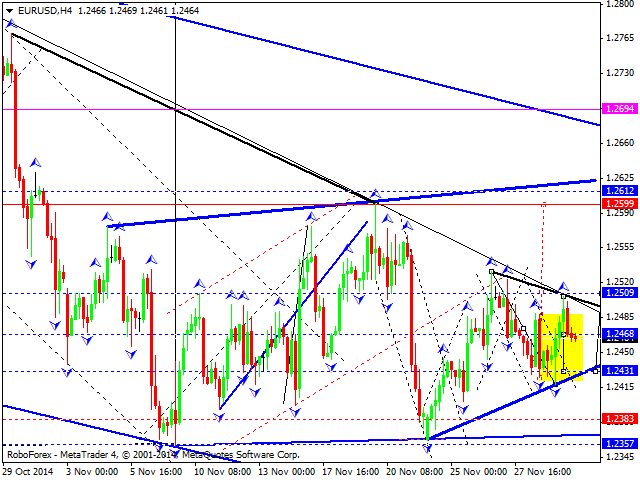 Later, in our opinion, the market may break the channel upwards to reach level of 1.2610. Pound has completed another ascending impulse. We think, today the price may form a descending correction towards level of 1.5675 and then start another ascending impulse with the target at level of 1.5840. 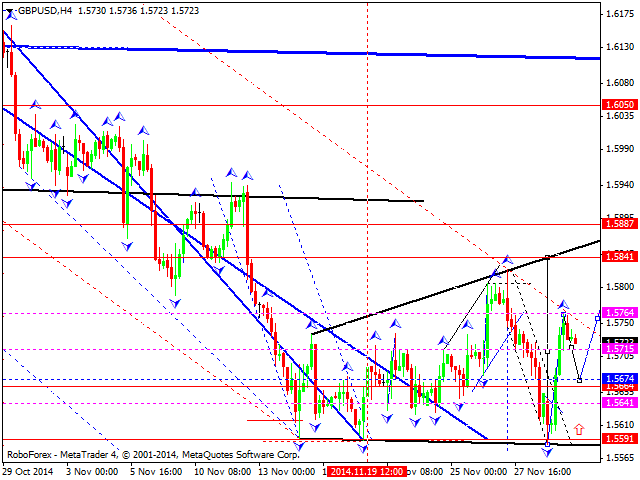 Later, in our opinion, the market may fall towards level of 1.5765 to test it from above. Franc has completed a descending structure towards the lower border of its consolidation channel. We think, today the price may start an ascending structure towards level of 0.9675, thus forming pennant pattern. 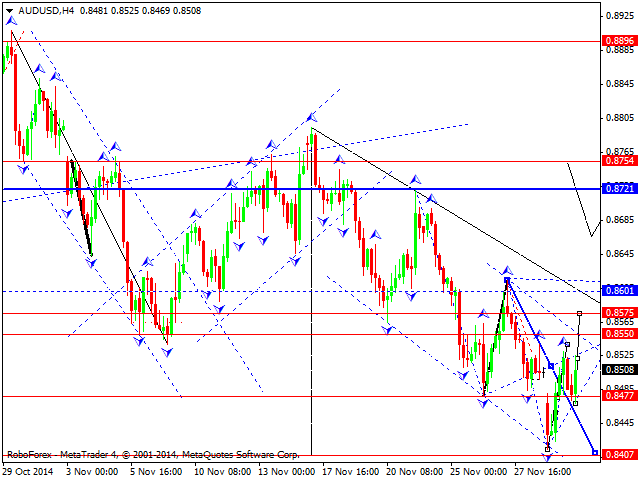 Later, in our opinion, the market may break the channel downwards and fall to reach level of 0.9500. Yen is moving upwards slowly. 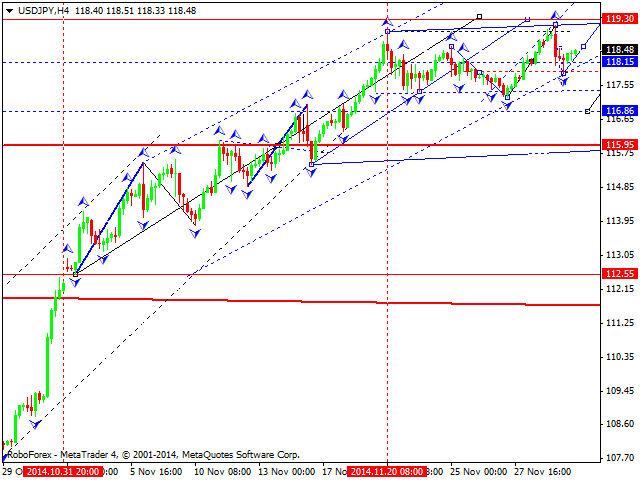 We think, today the price may continue growing to reach level of 119.30. Later, in our opinion, the market may fall towards level of 116.00, and then expand this consolidation channel and form a reversal pattern. AUD USD, “Australian Dollar vs US Dollar” The market is still forming the third ascending impulse. We think, today the price may reach level of 0.8575 and then form a correction towards level of 0.8477, thus defining the borders of a new consolidation range. 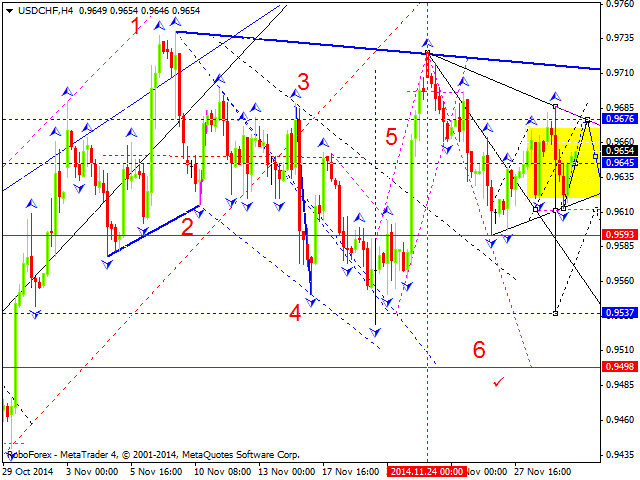 If the pair breaks it downwards, the price may reach a new low; if upwards – the market may grow to reach level of 0.8700. After making another ascending movement, Ruble is forming a descending impulse. We think, today the price may reach level of 49.55 and then continue growing towards level of 51.75, thus forming a new consolidation range. If the market breaks it upwards, the pair may reach a new high again; if downwards – continue falling towards level of 47.00. 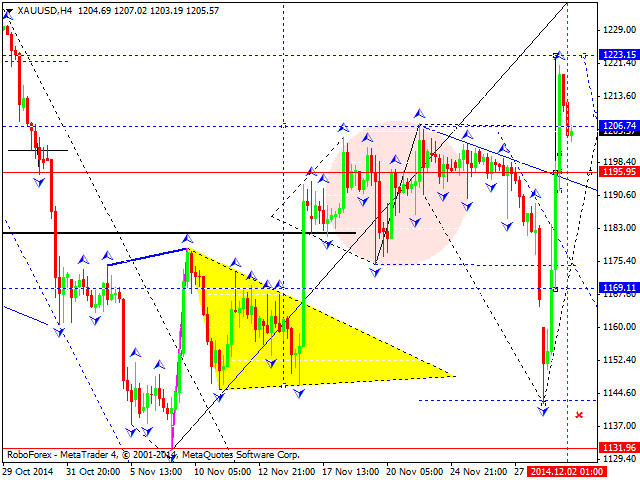 Gold has reached level of 1208.00 and continues forming its consolidation channel. 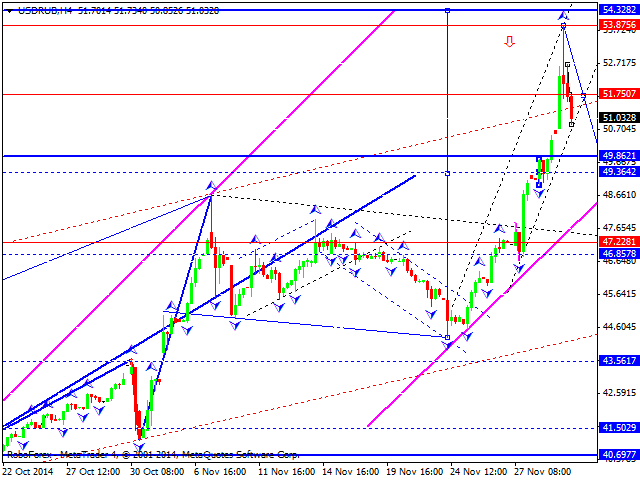 We think, today the price may reach level of 1223.15 and then fall towards level of 1196.00. Later, in our opinion, the market may start another ascending movement with the target at level of 1250.